Shibuya in Walking Distance - Forget about Rush Hour and Last Trains! 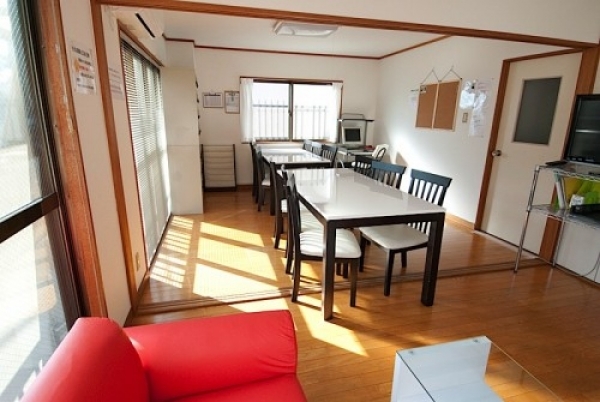 A sharehouse where you can live on a reasonable rent budget while having Shibuya in walking distance - that is XROSS Shibuya-shinsen 1, a co-ed sharehouse using up the whole second and third floor of an apartment building. If you climb up the stairs to the second floor and open the entrance door, you will find a whole different sight compared to the retro-style outside appearance - a completely new and renovated interior spreads out in front of you. Note that the house has just been freshly renovated. Not only the entrance, but the whole interior with its impeccably clean floors and bright white walls. What overwhelms all expectations is the spacious living room. Of course, it is a room for common use, but even in sharehouses, you seldom see a living room continuing from one room to another. On top of that, there are two big dining tables plus a sitting area, and the room is rich in sunlight - no doubt you will spend a great time with your housemates here! 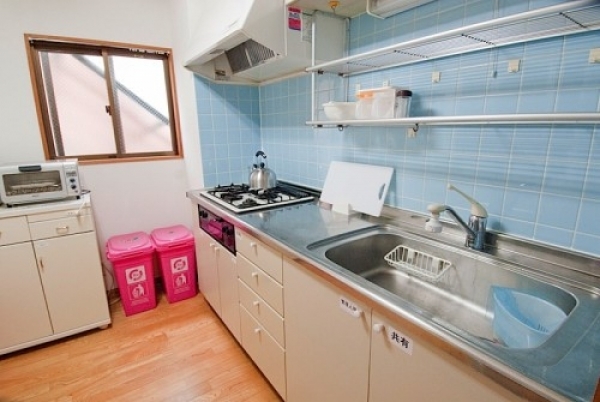 The kitchen is equipped with a rice cooker, refrigerator, microwave and toaster as well as pots and even some seasonings. After saying hello, cooking your favorite meal as a welcome present for your housemates will make you become close to them in no time! 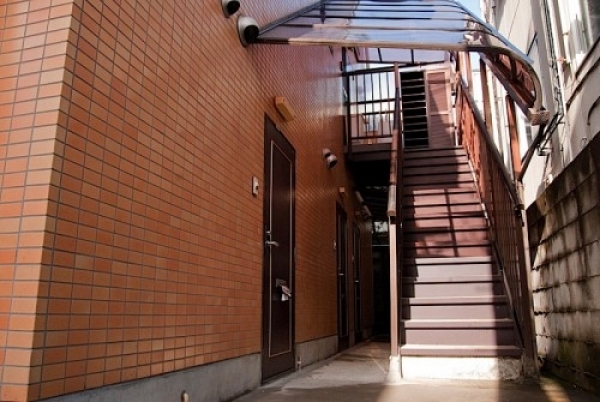 There are three types of share rooms, including a women-only share room, naturally. Take a step and dive into your new exciting sharehouse life! 5 minutes walk from Komabatodaimae Station. 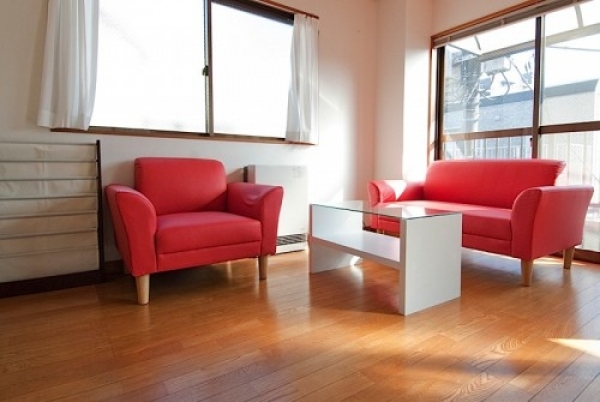 8 minutes walk from Shinsen Station. 10 minutes walk from Ikejiriohashi Station. 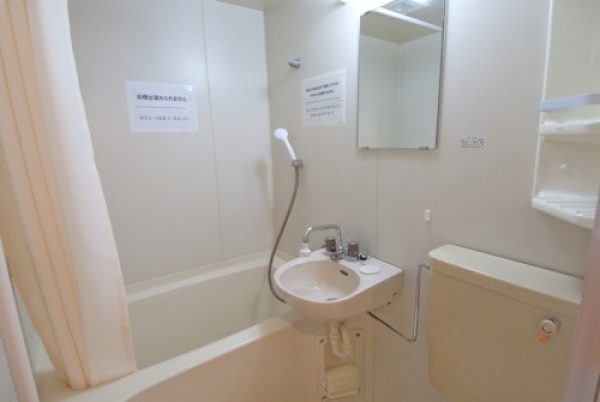 12 minutes walk from Shibuya Station.